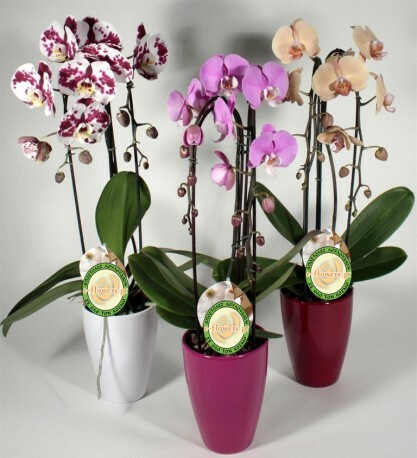 Beautiful cascade Orchids in many colours. An elegant and luxurius gift for every woman .Nice idea for the new house. Just "sic" next of a deal. Pleasure for new baby.